Cell theory is a proposed and widely accepted view of how most life on Earth functions. Before the invention of advanced microscopes, microorganisms were unknown, and it was assumed that individuals were the basic units of life. However, in the 1800s, this view began to change thanks to the microscope. Microscopes allowed early scientists to view and postulate about the cells they could see. Even with a microscope, it is not always possible to see the exact functioning of a cell. Scientists formulated a general theory of how cells work that is very simple. First, all organisms are made of cells. Second, cells are the fundamental building blocks used to create tissues, organs, and entire functioning organisms. The third, and probably most important part of the theory is that cells can only arise from other cells. Thus, organisms start as single cells. These cells grow, divide through mitosis, and develop into multi-celled organisms. Mitosis is a form of cell division that produces identical cells. These cells can then differentiate when given different signals to produce different types of tissues and organs. This is how large and complex organisms are made. Single-celled organisms divide as well, but when they divide, the cells separate into two new individuals. This is known as asexual reproduction. For more, see our article on the Three Parts of Cell Theory. Single-celled organisms are a great way to study cell theory. With modern microscopes, the processes behind cell theory can easily be viewed and studied. A great example of watching cell theory in action can be accomplished by putting a drop of pond water under a microscope. Below is a picture of two Euglena organisms, seen just after reproduction. Minutes before, these two cells were one. Euglena reproduces through simple cellular division. The DNA in the parent organism is duplicated, as are the internal organelles. Then, the large cell divides into two equally-sized smaller cells, as seen in the picture. These two cells are now independent organisms. Each will try to survive, grow, and eventually reproduce again. As you can see, Hooke was clearly looking at cells. In fact, with a better microscope, he likely could have seen the cells in action and the many organelles inside. 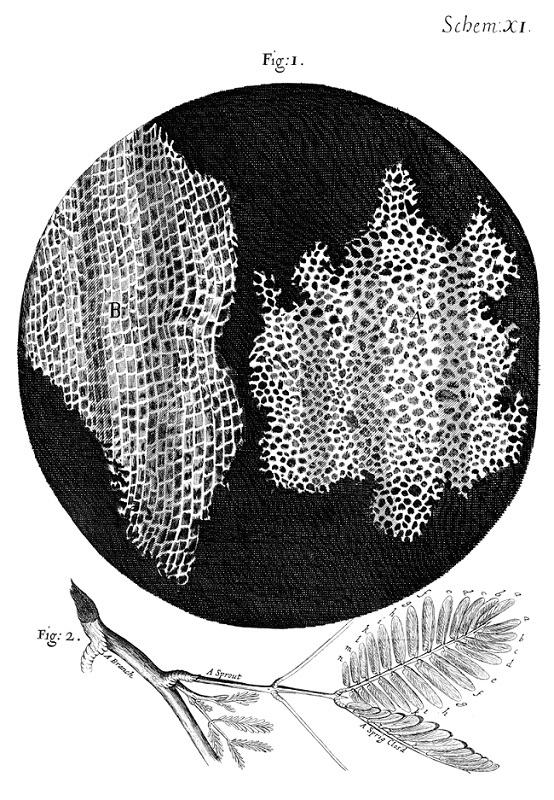 Instead, Hooke did not come to the immediate conclusion that all organisms were made of cells. He assumed the structures were limited to the tissues of plants. It was not until the 1840s that cell theory would be largely accepted by science. In 1839, scientist Theodor Schwann presented evidence that animals, like plants, were also fundamentally composed of different types of cells. Modern microscopy techniques allow scientists a much more comprehensive and accurate view of cells compared to early scientists. 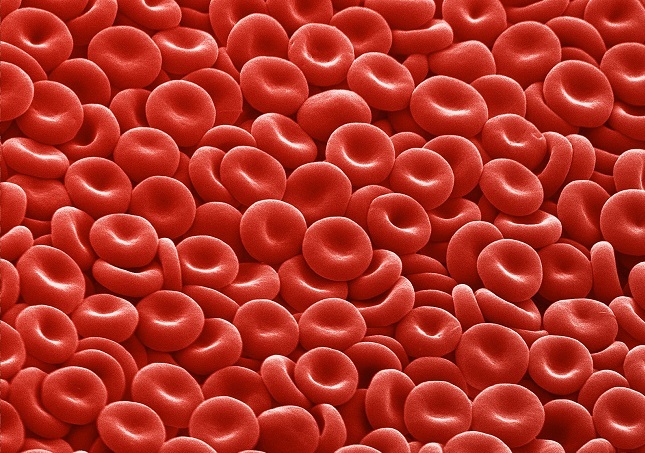 Below is a scanning electron micrograph of red blood cells. It distinctly shows how our red blood cells are separate, functional units of the human body. Like red blood cells, every part of the body is composed of different types of cells. According to cell theory, all of these cells are derived from the zygote, which is a single cell that results from the fertilization of an egg with a sperm. This cell then divides, replicates, and begins to differentiate into the many different cell types of the body. Eventually, a fully-functional organism is formed. Cells are the basic building blocks of all life on Earth. This is true of fungi, the only kingdom not yet covered. In fact, fungi are a sort of intermediate between plants and animals. While they lack the sun-harvesting chloroplasts of plants, they do have cell walls. However, there is one form of life which does not strictly adhere to cell theory. Viruses are small DNA or RNA particles, surrounded by a protective protein coating. Many scientists do not consider viruses living, and thus it is okay that they do not conform to the typical cell theory. Other scientists consider them living, but an exception to cell theory. For viruses to reproduce they must infect a host cell. Only by using the host cell’s machinery can a virus replicate its genetic code and the proteins needed to create new virus particles. 1. Some plants reproduce by spraying pollen into the air. This pollen reaches the female plant and fertilizes an egg. This new zygote becomes another plant. Do plants fit into cell theory? 2. Why are viruses sometimes not considered living organisms? C. Their DNA does not contain the same information as animal or plant cells. 3. A scientist in the lab is testing cells. The scientist has various chemicals that are applied to cells, and the reaction observed. The scientist puts some bleach on cells and watches the reaction. The bleach starts to destroy the cell membrane and eats its way to the DNA, which is also destroyed. Will the cell reproduce? 4. Which of the following is NOT a hypothesis of cell theory? 5. A multicellular animal always starts from a single cell. Also, each cell contains exactly the same DNA. How, then, is it possible for an animal to have many different types of cells within its body? A. Cell theory does not account for this aspect of biology. B. The zygote must differentiate into different types of cells. C. Each cell magically changes into the appropriate cell type. McMahon, M. J., Kofranek, A. M., & Rubatzky, V. E. (2011). Plant Science: Growth, Development, and Utilization of Cultivated Plants (5th ed.). Boston: Prentice Hall.